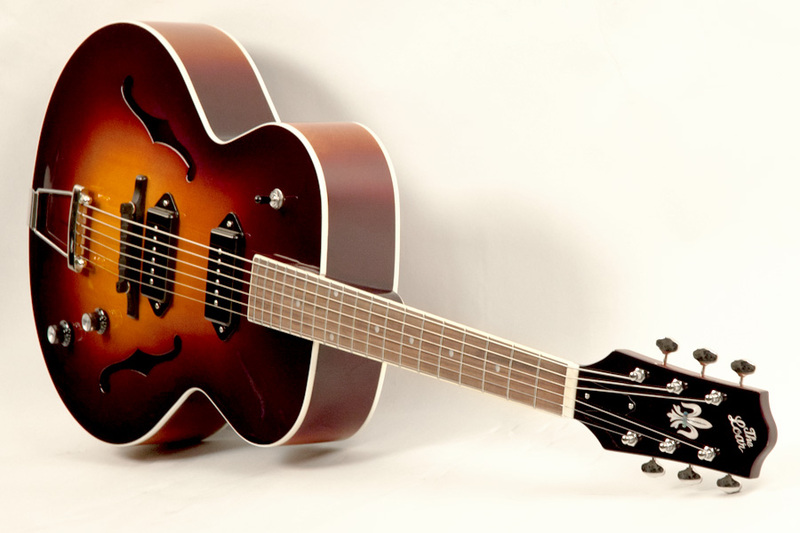 The LH-319 begins with a solid hand-carved and hand-graduated spruce top accompanied by select maple back and sides. The mahogany neck has the traditional V-profile familiar to aficionados of classic Golden Age instruments. 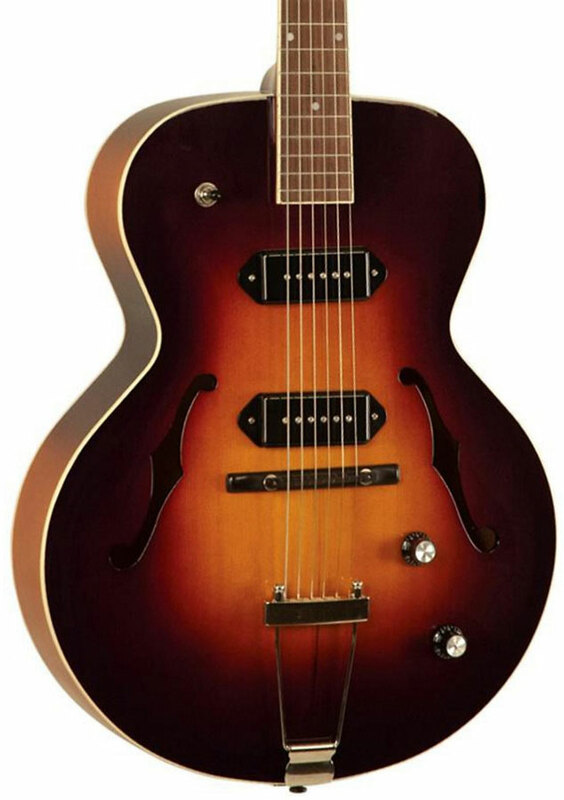 With a 16" lower bout and a classic 24-3/4" scale, the LH-319 is designed from original Golden Age archtop specs. 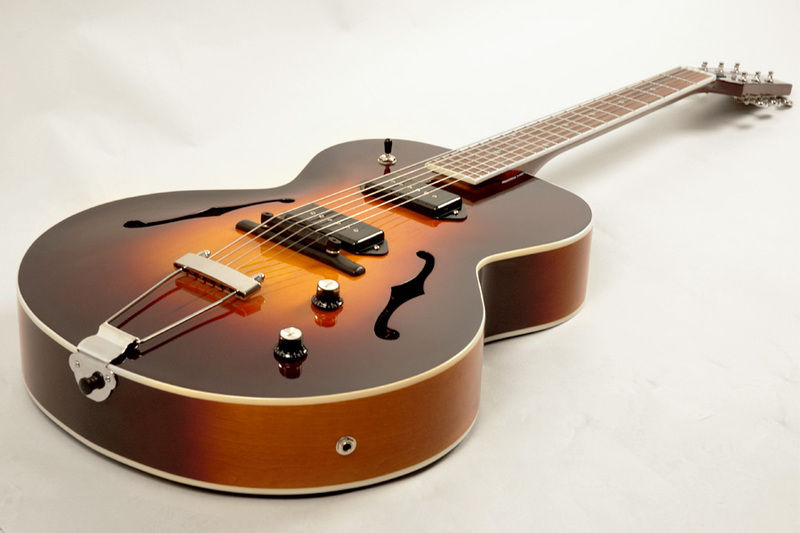 We've carefully placed our dual P-90 pickups in what we believe are the perfect spots for great tone and versatility. 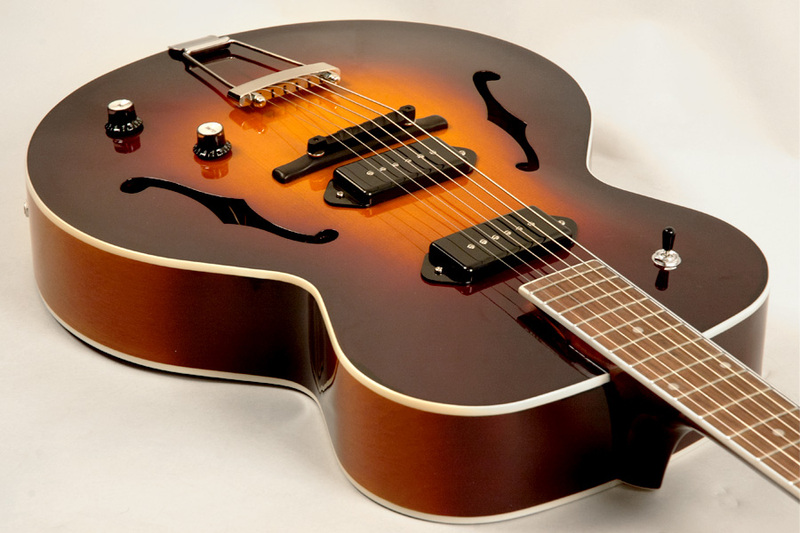 The classic high output and articulate treble response of P-90s are an ideal match to the spruce top and maple back and sides, giving players a wide variety of tonal options for a broad spectrum of musical styles. With a classic Fleur-de-Lys headstock inlay, bone nut, open-geared Grover butterbean tuners, traditional sunburst finish and two great-sounding P-90 pickups, we've built a guitar that will inspire you with vintage vibe. Would you like a second pickup?